Deep blues, gorgeous teals, and a dress that totally packs the romance? Yep, we’re all in for this one! 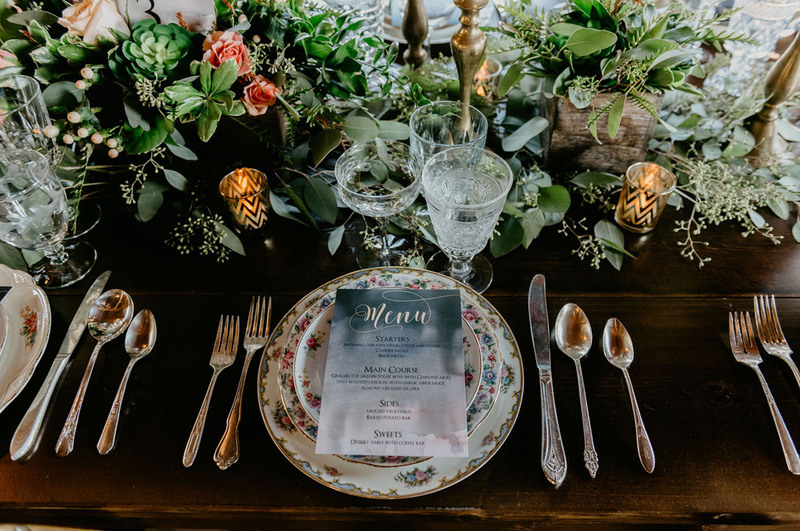 The Farm at Dover is a charming gem of a venue in Southeastern Wisconsin, where the talented team of vendors assembled this dreamy day. But it all revolved around one ever-important piece: the gown! 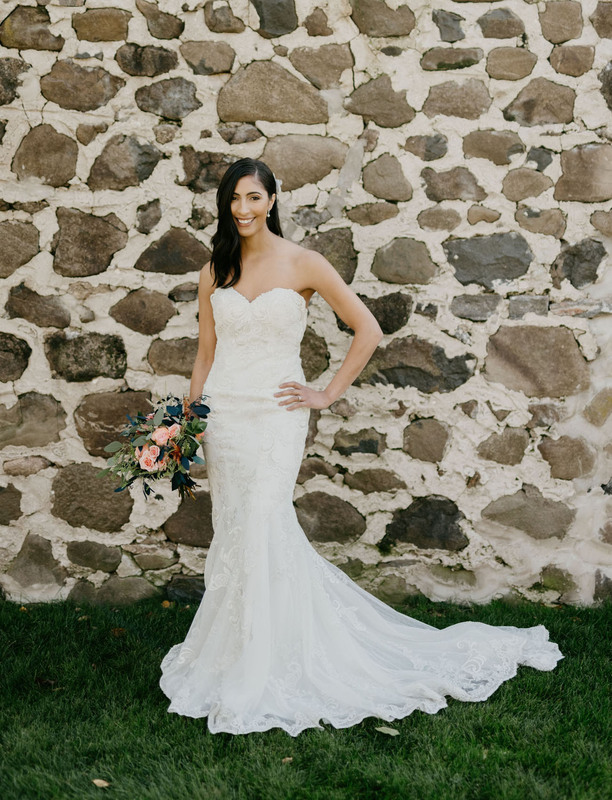 A lovely fit and flare design by the Beloved division of Casablanca Bridal that features lace appliques on dotted Point d’espirit, there is both a classic romance and sophisticated elegance to the silhouette. And while she may steal the show, we’re still gaga over the details of the day! Let’s have a look and the dreamy photos, all captured by Studio 29! 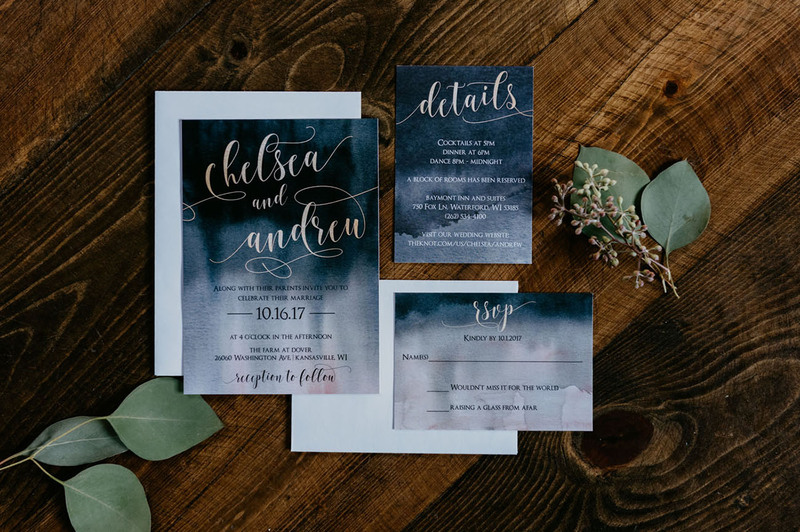 Love this deep blue watercolor invitation suite from DCo Lovenotes! 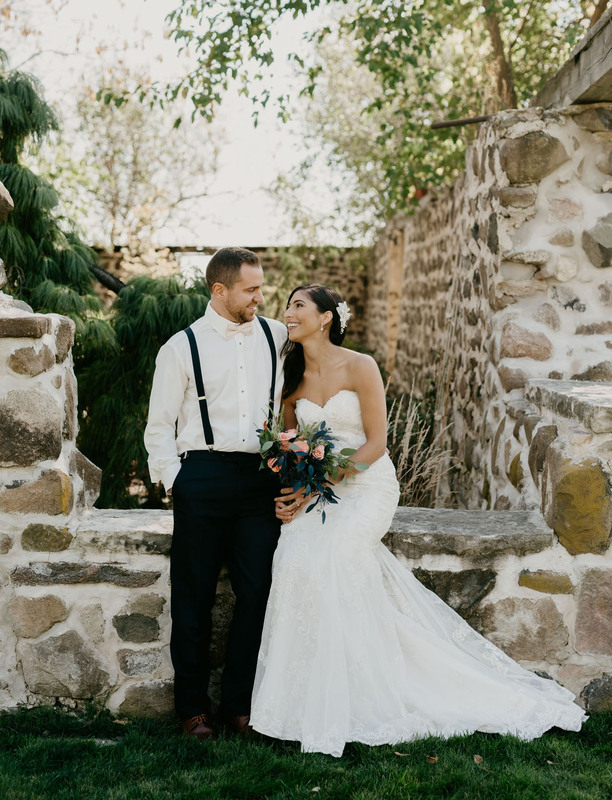 The bride wore the Lapis gown from Beloved By Casablanca Bridal. LOVE that skirt and the lace detail! 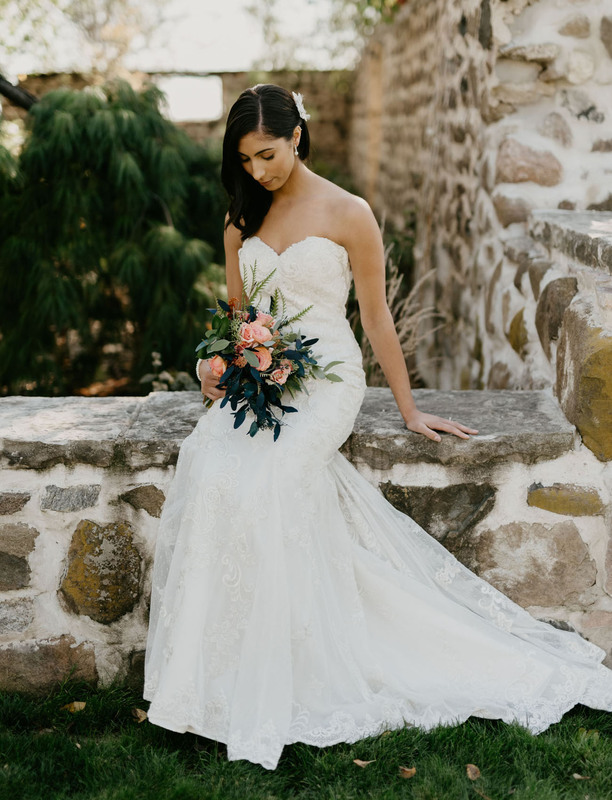 Beloved is beyond exciting for budget-savvy brides because the gowns’ customizable options give you a unique dress without getting crazy expensive! For example, the Lapis comes in different color combinations to match skin tone and style. (Champagne lace? Yes, please.) Best of all, it’s sold at an incredible price point for the level of quality and craftsmanship. Alfa Flowershop created a romantic bouquet of teals, sage, and pink pops! 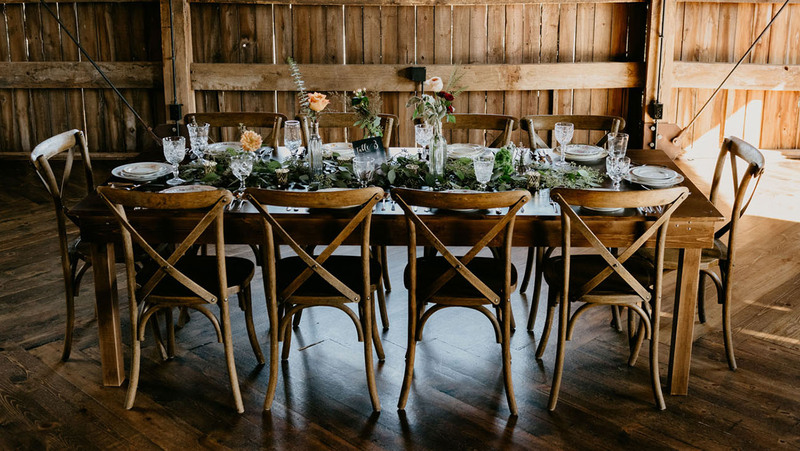 The table and chairs from Relics Vintage Rentals gave off a farmhouse feel, while the vintage tableware kept things classy + sweet. 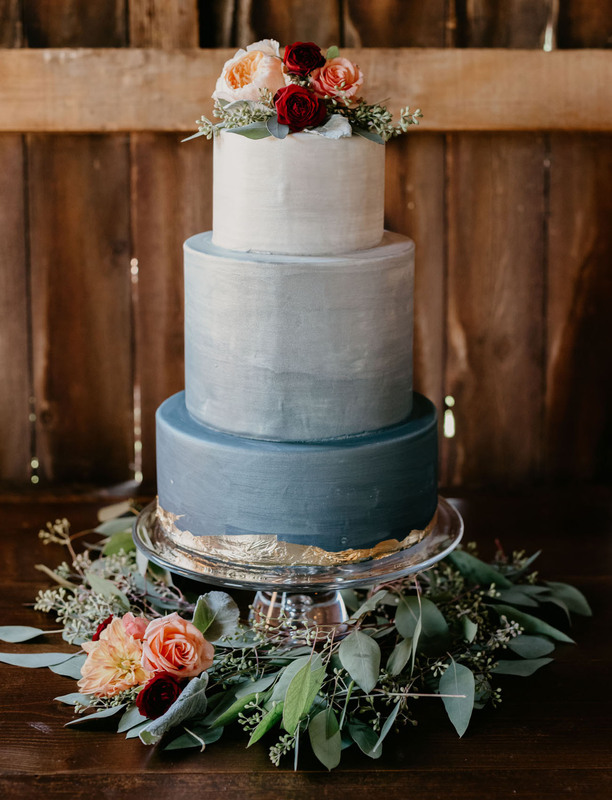 How gorgeous is this combo?! If you’re looking for a wedding dress at an affordable price point, Lapis or any of Beloved’s gowns are a great place to begin the search! 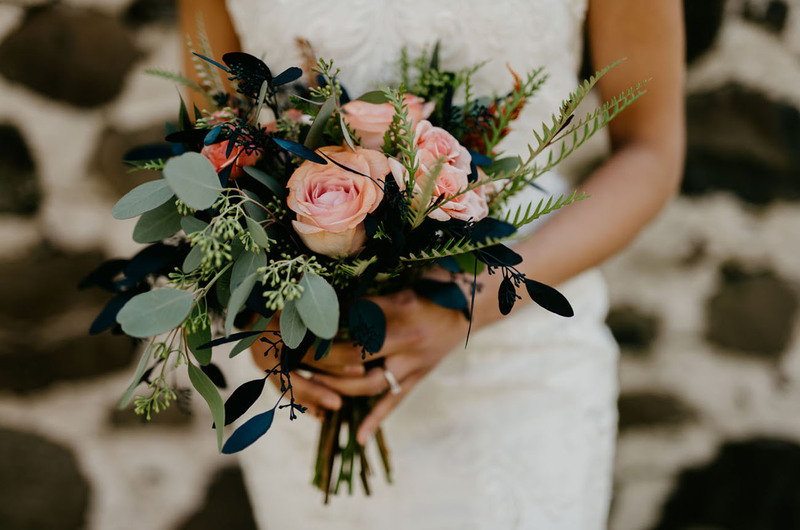 The Beloved bride is authentic to herself and free-spirited, she’s got an eye for design but knows what’s truly important at the end of the day. There is a lovely airiness to the designs, which you can see for yourself at locations across the States! Ombre blue and gold foil?! DREAM. Loving this wedding day inspiration and that chic bridal style! This post is sponsored by Casablanca Bridal. Thanks for supporting our sponsors!